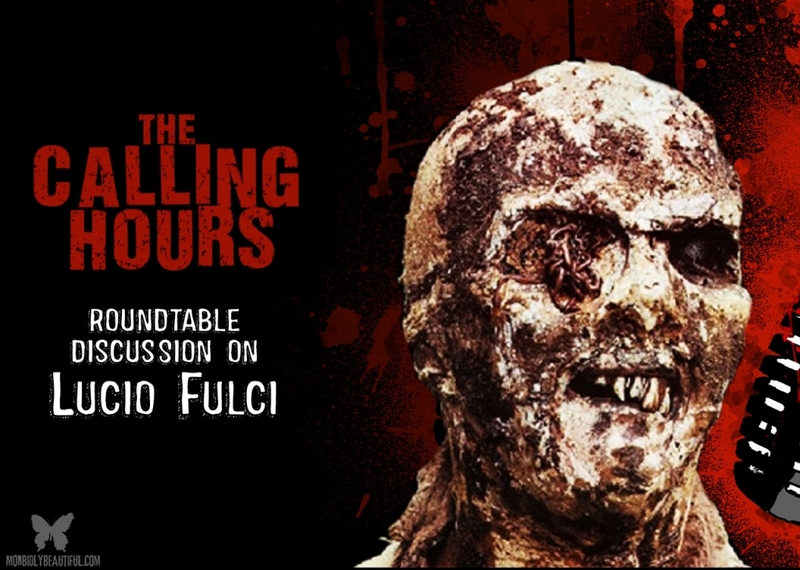 On this episode, we will be looking at the films of Italian Director Lucio Fulci and the impact they have had on the horror genre. Although he worked in a wide array of genres through a career spanning nearly five decades, including comedy, Spaghetti Western, adventure, science fiction and erotica, he garnered an international cult following for his giallo and horror films. His most notable films include the “Gates of Hell” trilogy − City of the Living Dead (1980), The Beyond (1981) and The House by the Cemetery (1981) − as well as Massacre Time (1966), One on Top of the Other (1969), A Lizard in a Woman’s Skin (1971), Don’t Torture a Duckling (1972), White Fang (1973), Four of the Apocalypse (1975), Sette note in nero (1977), Zombi 2 (1979), Contraband (1980), The Black Cat (1981), The New York Ripper (1982), Murder Rock (1984) and A Cat in the Brain (1990). Because of the high level of visceral graphic violence present in many of his films, especially Zombi 2 and The Beyond, Fulci is frequently referred to as “The Godfather of Gore”, a title also given to Herschell Gordon Lewis. Joining me for this discussion will be Morbidly Beautiful staff writer Jamie Marino and my fellow FX artist Bill Mulligan. In our Metal Massacre Spotlights, we will be featuring Belphagor, Fleshgod Apocalypse and Immolation! Belphegor is an extreme metal band from Salzburg, Austria. They originally formed in 1991 under the name Betrayer before changing their name in 1993. They are named after the demon Belphegor. Fleshgod Apocalypse is an Italian death metal band. Formed in 2007, the group resides in Perugia and are currently signed to Nuclear Blast. They have released four full-length albums, most recently King on February 5, 2016. Immolation is an American death metal band from Yonkers, New York, United States. Tune in to Morbidly Beautiful every Tuesday at 8 pm EST for new episodes of The Calling Hours Podcast. You can also listen to the syndicated rebroadcast on MileHiRadio every Friday night at 10 pm EST/7 pm PST. The Calling Hours is also available on most major podcast platforms, including iTunes, Google Play, Stitcher, Tune In Radio, and on Pippa.